Pretty as a picture, this bouquet is sure to make any recipient flush with joy! 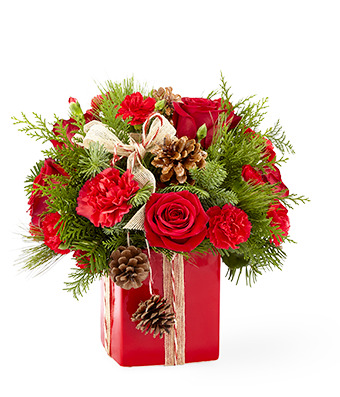 Christmas greens perfectly compliment red roses and carnations in this absolutely stunning keepsake container. Measures approximately 12"H by 12"L.